There are "Awesome Summer Camps" throughout the United states and Canada. SummerCamps.camp will help you locate one. There are links above for hundreds of camps. Below is the featured "Awesome Camp" from February 16, 2016. 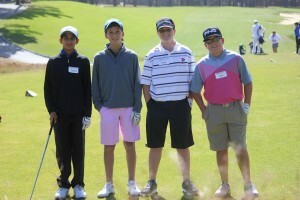 Nike Golf Camps provide a safe and caring environment where young golfers of all abilities can thrive. The Awesome Camp we’ve selected for this week is Nike Golf Camps. For over 23 years, Nike Golf Camps have been nurturing and improving young golfers while getting them excited about, and falling in love with, the game of golf. At over 100 locations across the country—including famed Pebble Beach, many prominent universities, renowned golf resorts and local golf courses—there’s the perfect spot for every junior golfer to have a blast and improve his or her game. Campers ages 7 to 18 can choose from single-gender or co-ed camp experiences, half-day and full-day camps to overnights. Whether your young golfer is just getting to know the game, wants to fine-tune his or her short game, is ready for tournament play, or on a quest to reach the collegiate level, Nike Golf Camps has a host of camp experiences available. Nike Golf Schools and Junior Camps offer Overnight, Day, Advanced, and Short Game camps, all co-ed, in over 30 locations. Here, young golfers develop a lifetime love of the game, and will find their days filled with the perfect blend of instruction, course play, and fun off-course activities. 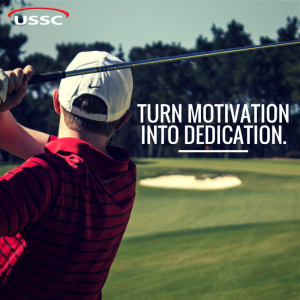 Have a young golfer dreaming of a college career and ready to take his or her game to the next level? With a total of nine locations, the directors at Advanced camps are renowned PGA coaches and professionals excited to work with tomorrow’s stars. At Advanced camp, the atmosphere is more intensive, and coaches focus on fine-tuning shots and shaving easy strokes off a score. They also address the vital mental side of the game and proper practice techniques in order to guide motivated players.